I promoted this to all the dive groups down in SW Washington (Vancouver and PDX) back when the project first got off the ground and was sadly disappointed by the response. or the 7400$ in startup just goes to WSA in the firstplace. 1500 views to this thread, if each one sacrificed a single trip to starbucks this would be complete already! 136 people need to donate 50 bucks each or that equivilent for more or less folks. This is a unique and really great idea..... I want my special plate so lets make this happen! I am working with Washington Scuba Alliance (WSA) to apply for a Dive Into Washington specialty plate through the Dept of Licensing. The start up costs for this is $7,427. The revenue generated from every specialty plate sold will go towards WSA's conservation projects. 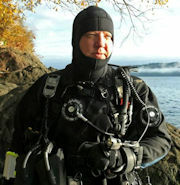 As divers we all are lucky enough to enjoy the beautiful waters here in WA State. This is an excellent opportunity to give back by displaying enthusiasm for our sport on our vehicles, show our support for conservation efforts in our state and fund projects that provide improvements to our favorite dive sites. With over 10,000 divers in our state we have the opportunity to make a huge difference! In case you don't know who WSA is check out their website at http://www.wascuba.org/ They are responsible for the amazing permanent mooring bouys being placed throughout the state, the GPO Protection Initiative and most importantly...replacing tire reefs and creosote pilings with artificial rock reefs!! The link for the fundraiser webpage is https://www.gofundme.com/scubaplate , if you can't donate then perhaps you can just pass the message on via your social media account so we can get the message out!